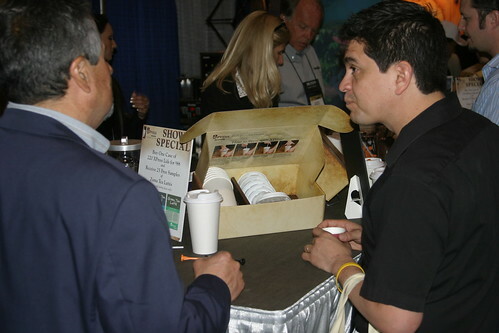 The first 2 days at the SCAA expo has been outstanding and the booth has been swamped by cafe owners. Is it because of the Tea Latte promotion or the innovation of the XPress lid and business opportunity? It seems to be both. 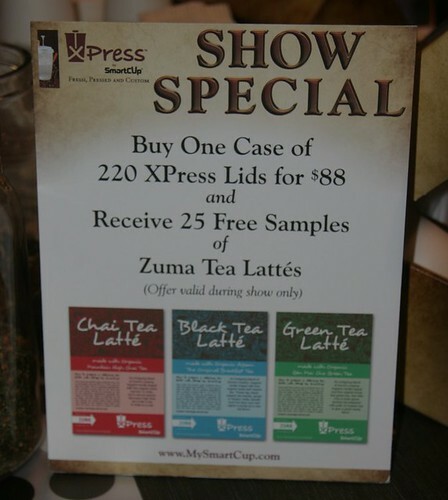 The XPress lid opens new revenue opportunities for serving coffee and the tea latte opens a new market segment. 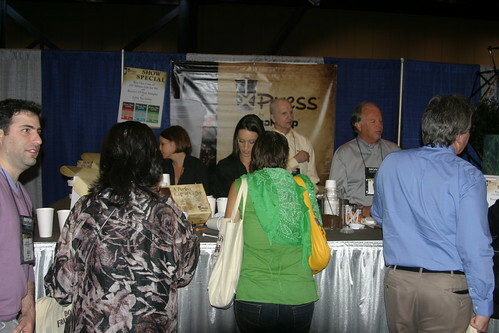 Attendees are experiencing the innovation of the XPress lid and have seen how the world’s first portable, recyclable and disposable French press in a lid can be utilized. SmartCup is providing 3 styles of tea lattes. It includes a green tea, black tea and spicy chai tea latte. These are samples of mixes that we put together so that operators can test in their operations. Felica tries the XPress lid and talks about how it would work in her cafe. 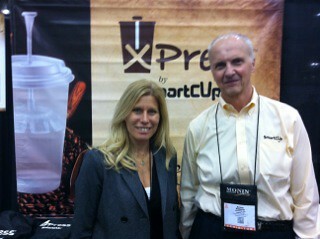 We interview attendees from the SCAA show in Houston about what they think of XPress lid and a portable French press. 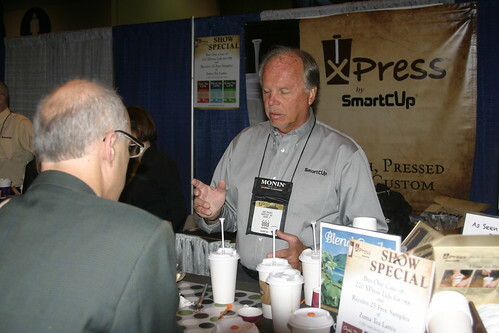 While attending SCAA make sure you stop in at Booth 452 to visit the SmartCup team. We will be serving coffee and tea from our portable, disposable and recyclable French press in a lid, XPress. Specialty coffee…from seed, to roaster, to barista, to cup-it is the crop that bonds us together as a community. Coffee is integral to the livelihood of everyone in the chain of production that contributed to the full bodied, ambrosial brew you savor each morning. Through XPress, SmartCup has developed a product that enhances the flavor and aroma of a cup of coffee or tea. Take a few minutes at SCAA and stop in at booth 452 to see how our XPress lid can reduce costs, improved quality and provide your operations with a true marketing advantage over your competitors.